BlackBerry will rededicate itself to physical keyboards as the company tries to regain its footing. Speaking to Bloomberg , BlackBerry CEO John Chen said the company's future phones will "predominantly" have physical keyboards, rather than full touchscreens. "I personally love the keyboards," Chen said. 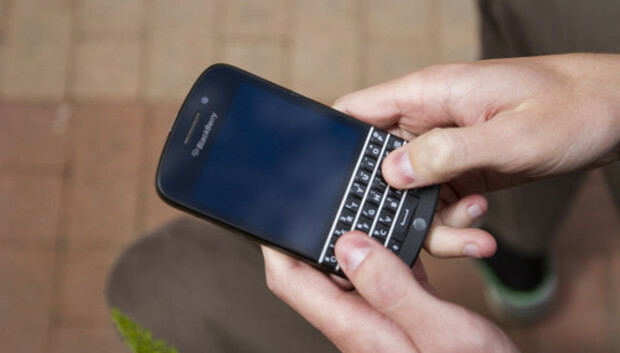 Out of the four existing BlackBerry 10 smartphones, only the Q10 (shown above) and Q5 have physical keyboards, and only the former is available through U.S. carriers. The BlackBerry Z10 and Z30 use touchscreens, with the quality of the software keyboard being a major focus in BlackBerry 10. BlackBerry's recent emphasis on touchscreens over physical keyboards was reportedly a major source of friction within the company as it tried to bring BlackBerry 10 to market. In a story last September , The Globe and Mail recounted a 2012 board meeting, where co-founder and former CEO Mike Lazaridis expressed frustration over the touchscreen Z10. "I don't get this," Lazaridis said while pointing to the phone. Lazaridis eventually left the board, and last November, BlackBerry ousted CEO Thorsten Heins, who oversaw the launch of BlackBerry 10. The company also abandoned plans to sell itself, as it focuses on enterprise services and BlackBerry Messaging (BBM) across multiple platforms. Since then, BlackBerry's commitment to BlackBerry 10 has been murky. A partnership with manufacturer Foxconn will bring at least one BlackBerry 10 handset to emerging markets, but a recent open letter from Chen didn't even mention BlackBerry 10 by name. The company's enterprise business is still largely using the older BlackBerry 7 operating system, but companies are increasingly turning to iPhones and Android phones instead. It's unclear whether BlackBerry's physical keyboard push implies more new BlackBerry 7 handsets or more BlackBerry 10 devices without full touchscreens. Either way, BlackBerry is reaching for the past as it tries to stay alive. Can technology save the UK's National Health Service? Is AI the key to a 24-hour digital NHS in the UK? Tech in Cuba: Ready To Go Super-Nova?